I love my crappie recipes, and I know you will too. Some people prefer catch-and-release, I do too, especially when I bread-and-release these fish fillets into hot oil. Sometimes I keep bass to cook, saving the smaller fish to fillet and releasing the bigger ones. 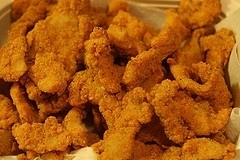 Crappie are also cooked whenever we have a bag full, and that is often. Not much beats a good meal of fresh fish. And there are SO many ways to prepare them. Frying fillets from crappie is an old standby in our house. 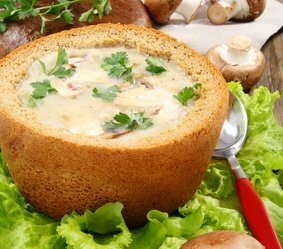 I enjoy several stews and chowders that you can use crappie or really, any other type of fish you like. There are many recipes for fish tacos, so I thought I would give you one that you can also use for other fish. If you are in a hurry, many fish recipes are quick and easy. You can make appetizers with raw fish, smoke fish or make fish jerky. Most of these recipes you can use with your favorite fish, so experiment if you like one. Fish taste good and are good for you. So enjoy fishing. Now on to my crappie recipes. This crappie recipe produces a chowder that is thicker than the recipe above. For the evaporated milk, I mention one to two cans depending on how thin or thick you want your chowder. Only use one can for a thicker consistency. Cook crappie and potatoes in a pan just covered with just enough water so it will come to a boil. Saute the celery and onion until tender; drain. Mix or grind the fillets, onion, celery, and potatoes together. Now add the salt, pepper, and egg together. Form into patties. Heat the butter and canola oil in a skillet on medium-high and roll the patties in the crushed cracker crumbs (say that 5 times fast). Fry the patties until they are golden brown on each side. Heat the garlic and butter in a saucepan on medium, and whisk in the flour until it forms a smooth paste. Gradually stir in the milk and bring to a boil. Cook for two minutes while whisking the sauce. Remove from the heat and add the lemon juice and season with salt and pepper. 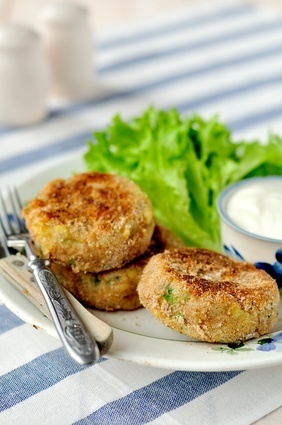 Serve with the crappie patties. 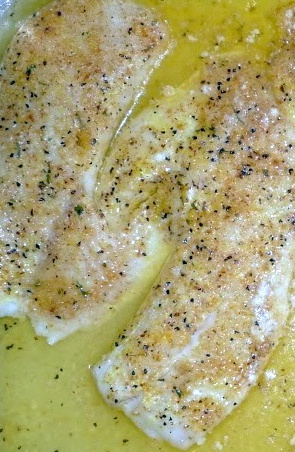 If you like shrimp scampi, you will enjoy this crappie recipe. Place foil over a cookie sheet and spray with oil. Sprinkle garlic, butter and bread crumbs over the fillets (or you may use McCormick California Garlic Powder). Place under the preheated broiler and cook until fish flakes with a fork.